BriteBill transforms the way service providers present and manage billing communications. Cold notifications and demands for payment are transformed into customer centric and engaging communications. With the BriteBill platform, service providers can improve customer interactions by pre-empting questions, tackling issues and highlighting appropriate and new services through personalized, targeted messages and persuasive content. Business customers get the insights they need through tailored analytics and customizable dashboards to easily understand costs and service usage through beautifully rendered, easily understood graphs, tables and alerts. Improved billing means less costly bill-related helpline calls, less customer churn and boosts long-term loyalty. BriteBill is an innovative and unique solution used by tier one telecom operators around the globe. BriteBill was named a "Cool Vendor" by Gartner Inc. for 2014 and won ISA “Emerging Company of the Year”. 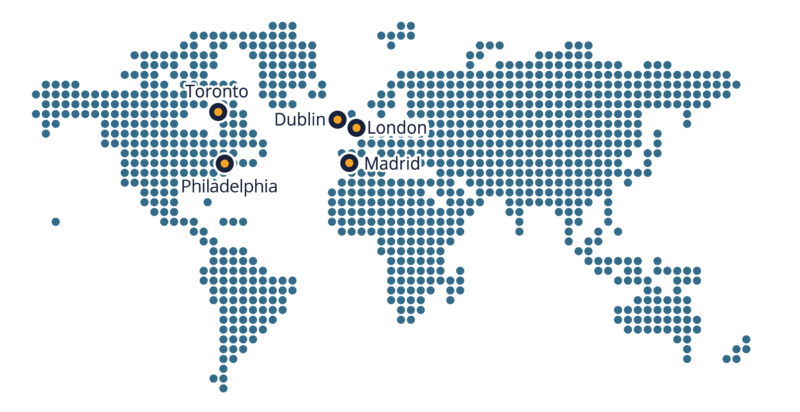 Founded in 2010, BriteBill is headquartered in Dublin, Ireland and has offices in London, Madrid, Toronto and Philadelphia. 2014 ISA Emerging Company of the Year. Learn more. 2014 Named "Cool Vendor" by Gartner Inc. Learn more.